Can you imagine life without music? Of course, not. It makes us exhilarated, it heals us, its rhythm can pace our work. Using some ELT methods, while listening to various audio clips, participants of different age/language level can learn about the cultural significance of music. At the end, join in the quiz! 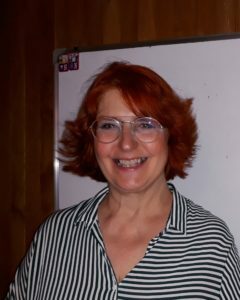 Tijana Nesic Ristic, a curious, passionate teacher/ teacher trainer, puts emphasis on cross-curricular content, applicable to different learning styles of various age groups/levels. Who is Tijana Nesic Ristic? What is the single characteristic that you want most people to know about you? Passionate about new things, I like exploring and discovering things, which means that in terms of teaching, I constantly try to establish connection between the language and other disciplines. I do believe that the more students try to express things relevant to them through a foreign language, the stronger their motivation for learning it will be. I’d dare to say that there is a little bit of each of the 5Ts. As a teacher trainer, I’ll do some teaching and training by combining some interesting facts about music wrapped up in an ELT package, which, hopefully, will create positive atmosphere. Thus, transforming the content of the teaching material, I hope to succeed in transcending some barriers we encounter in our everyday work…and you have to trust me! Teach…because it is so rewarding when you see your students have mastered something partially thanks to you. And trust…because in our work we touch the lives of so many people and we need to build trust in order to make that relation fruitful. A fantastic, inspiring convention gathering seasoned teachers and educators, who are willing to share their experience, and create warm and friendly atmosphere. To learn more, and meet again people so dear to me. I wish TESOL Greece to continue to thrive for, at least, another 40 years!